Due to the Anzac Day Public Holiday this Thursday 25th April our online store will also be closed on Friday 26th April 2019. All online orders placed on Wednesday 17th April 2019 will be processed and shipped out on Monday 29th April 2019. We would like to thank all of our customers for their support. Need a question answered? Have a look through our FAQ's where you will find quick answers to our most commonly asked questions. 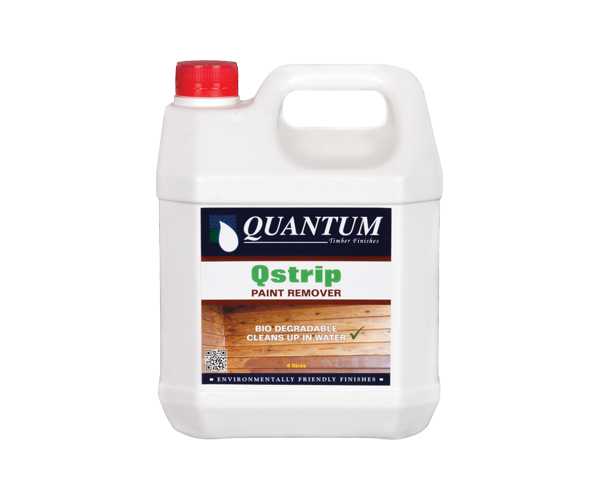 A biodegradable paint remover designed to remove old and/or weathered coatings from sound exterior timber surfaces. Do not use QSTRIP on plastic surfaces. Do not use if rain is forecast. Do not allow to dry out. The removal process depends upon the type of coating and the number of coats that are being removed. Test a small area prior to application to determine the thickness of the QSTRIP required and the time needed to allow it to work. Generally two applications will work, however sometimes a third application may be required. Leave QSTRIP for a minimum of 40 minutes to soften and dissolve the film. Thicker coatings may take a few hours. On stubborn coatings use a stiff broom or brush (pay attention to cracks and grooves), then remove by scraping, scrubbing or power wash. When the film is completely removed wash with water and then allow to dry.